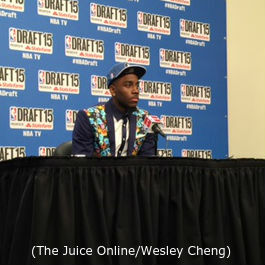 Q. Rakeem, can you just give us an opening statement about being drafted? A. It’s a great feeling. All this has built up for this reason. 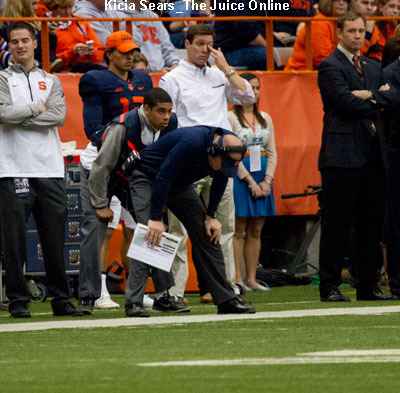 I was at Syracuse for four years, had a good time and all and I was just working to this point and just happy to go through this whole experience. Q. You joined Karl Towns, Gorgui Dieng, you’re now with Adreian Payne. You’re known as a guy who plays really good defense, protects the rim. How do you feel about being a part of arguably the greatest defensive front court in the NBA? A. I take pride in playing defense. Being a part of that type of team is great. I just want to go out there, play defense, get rebounds, block shots, and that’s my game. Q. Typically I realize a lot of players in the Draft over the last few years come to the NBA after one or two years in college. 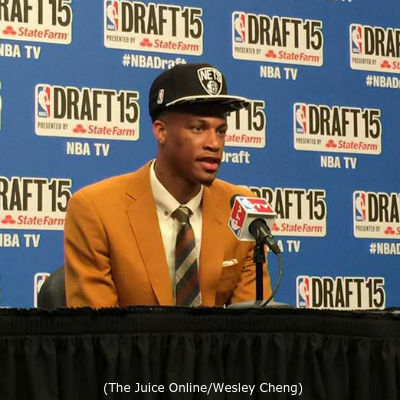 How has playing about three, four years in college prepared you for the NBA? A. They’ve prepared me a lot, I learned a lot from Coach Boeheim. There’s a lot of experience there. Being at Syracuse it’s a great program, a winning program and being around Coach Boeheim taught me a lot and prepared me for this whole moment right here. Q. I’m not sure if you heard the report about possibly going to Cleveland, but if you do what’s it going to be like playing with LeBron James? A. It’s going to be a great experience. That’s someone I look up to. I worked out for them, so I wouldn’t know if that’s true or not. That would be a great experience for me, and they’re a great team, and I’d just be happy to be a part of that. Q. After your junior year, was there even a possibility in your mind being in the NBA? And did you imagine this kind of senior season you had and getting here? A. Yeah, I just had to wait my turn. I had people ahead of me, C.J. Fair, Jerami Grant, Tyler Ennis. I didn’t have to do that much my junior year. In my senior Coach Boeheim pulled me aside and told me it was going to be my team this year and to step it up, and that’s what I did this year. Q. After your name was announced, what was your first thought? A. Thank God. I was just sitting there the whole time. I just wanted it to be over, and it happened, and I’m just happy this whole experience is over and I’m happy in the situation I’m in right now.